KPMG today announced an expansion of its strategic relationship with Microsoft to include a global collaboration to jointly deliver new suites of innovative solutions and services in data and analytics (D&A), cloud compliance and transformation, and business solutions. The collaboration signals an important phase in the Microsoft and KPMG relationship, driven by a shared certainty that clients are looking for business partners with solutions and services that combine the best in leading-edge technology, industry insight and innovative thinking with proven excellence in managing complex global projects. KPMG has already guided over 100 clients using Microsoft’s Business Intelligence (BI), Analytics and Microsoft Dynamics products to transform their business operations. The new strategic collaboration, based on Microsoft’s Azure, Dynamics and data platforms, will allow Microsoft and KPMG member firms to work together to develop and deploy solutions and services that will help address the disruptive challenges topping the Board agenda today. These include realizing the business potential of one global, scalable platform which can deliver cloud-based solutions for Customer Relationship Management (CRM), Enterprise Resource Planning (ERP) and Data and Analytics, which will collectively help transform the business while maintaining regulatory and compliance requirements. Cloud Compliance and Transformation: Clients will benefit from new cloud compliance and cloud transformation offerings. Microsoft will provide hyper-scale, enterprise-grade and hybrid cloud technologies. KPMG will work with clients to help ensure compliance requirements, supply expert know-how and change management expertise. Building on decades of experience with technology disruption and transformation, KPMG and Microsoft will help clients make the journey to the cloud safer and more secure. 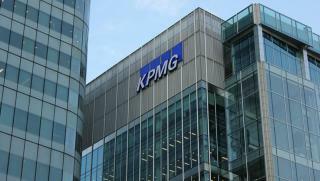 Business Solutions: KPMG will use Microsoft’s Dynamics Enterprise Resource Planning and CRM Solutions to further its technology-enabled transformation and customer and growth engines. KPMG will focus on developing industry-specific solutions and services to serve the needs of companies in key industries. For KPMG, the collaboration with Microsoft will provide new and existing clients with preferred access to proven technology solutions including: advanced big data and analytic solutions built on Power BI and SQL Server, enterprise-grade, hybrid cloud technology from Windows Server and Microsoft Azure, and business solutions powered by Microsoft Dynamics. For Microsoft, KPMG’s global reach and deep industry knowledge gives Microsoft access to new insights through KPMG’s role as a trusted advisor to the C-suite. Asus Teases Competitors With Its Zenfone 2 Launch on April's Fool Day!